Good for you Shannon, and good for R! I'm with him. As long as there is a treat waiting at the end of the race, count me in next year : ) Happy running! 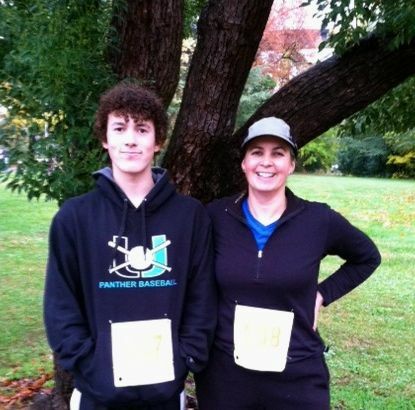 I ran a Turkey Trot last week with my son, also. He left me in the dust. I agreed to only do the 5K since I didn't get to town until after 1a.m and got very little sleep after an 11 hour drive. He got a little overly excited and missed the turn for the end of the 5K and wound up doing 5 miles...serves him right!!! My very first race ever my shoe came untied, talk about a newbie problem. One of my biggest obstacles is myself at the start. I tend to take off too fast in the excitement. Keep going and congrats on your progress.